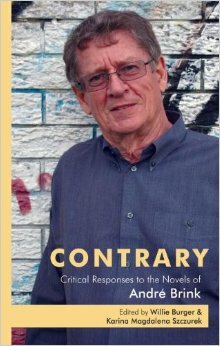 In the preface to her compilation of forty-four essays reflecting on encounters with the internationally acclaimed South African author André Brink, Karina Szczurek states: “Together, in these essays, we’ve explored some of the many facets of his versatile personality. He emerges not only as the renowned author, attitude-changing public figure, leading intellectual, or the motivating teacher that he is mostly known as, but also as a music aficionado, passionate rugby fan, magician, shy boy, food lover, or a knight in shining armour, and even more importantly and intimately, a devoted family man and dear friend. The resulting collection forms a tapestry of unique stories which span continents and lifetimes reflecting on André’s life as witnessed through the eyes of people close to him: family members, friends and lovers, publishers and translators, colleagues and students, fellow writers and other artists” (10). This publication will draw a wide circle of readers. The 20th-century emphasis on the text and the resultant decentring of the author paradoxically kindled a curiosity regarding the real author. However, those who attempt to search for André Brink, the person, in his dozens of publications, will be confronted by a tight textual web generating a plethora of narrative voices and a multiplicity of perspectives. In his essay, a South African neuropsychologist, Mark Solms, with reference to Brink’s novel, A Chain of Voices, mentions Brink’s ability to narrate “events from everybody’s point of view” (192). Time after time Brink’s readers will be confronted by a captivating, even bewildering, but always engaging: on the contrary. In the Brink oeuvre Derridian différance confronts the reader in search of finality and closure and the body of work becomes a manifestation of endless postponement. One of the contributors to this collection of essays, Brink’s youngest sister, Marita, indeed captions her text with “A presence and an absence” (11). His son, Gustav, in a moving contribution, refers to a poem he himself once wrote in which he enquired of André, “Are you there?” He concludes the essay by stating, “I know that, that if I were to reconsider my poem, the answer is not that he is there now, but that he’s always been there, even when I was not aware of it” (91). In 2009 André Brink published his memoir, A Fork in the Road. This fascinating publication certainly provided the curious reader with important insights, not only regarding a complex personality, but also regarding the socio-political climate informing a large part of Brink’s life. However, the memoir confirms that autobiographical writing, by definition, is informed by a process of selection and combination and therefore becomes a form of fictionalisation. This is all the more evident when the subject is complex and larger than life. In this regard writer Chris Barnard, in his essay, expresses the opinion that “[e]verything you allege about him requires footnotes.” He concludes his essay by saying: “Who is the true Brink? Everyone hoped that his memoirs would help clear up this uncertainty. And he sidestepped the issue even in the motto of the book. He is one big anomaly. A lasting antithesis. A counter for everything that is regarded as self-evident. And that is the reason, among many others, why he became the remarkable writer that he is” (66). In the light of the above, Karina Szczurek’s book is timeous, interesting and valuable. In a long essay in seven parts Naas Steenkamp, a university and lifelong friend, provides an interesting backdrop which places the other contributions in relief…. Godfrey Meintjes teaches Afrikaans and Literary Theory at Rhodes University and is an ex-student and colleague of André Brink who has published on Brink’s work. Thank you to Godfrey Meintjes for this wonderful reading.